Preparation for the 2017 International Thespian Festival is well underway at the Educational Theatre Association’s national office. Event coordinators anticipate 4,500 delegates at this year’s event, taking place June 19-24 at the University of Nebraska-Lincoln, Festival’s home for more than 20 years. Thespians who plan to attend Festival were invited to audition for the event’s national cast opening show, We Tell the Story: A Celebration of the Works of Ahrens & Flaherty. The production allows students to work on Festival’s main stage alongside Broadway writers, actors, and musicians. Participants arrive early at Festival and produce the show in just 48 hours. This year, Eric Cornell (whose Broadway credits include Big Fish, Rocky, Sister Act, Next to Normal, and Wicked) will join longtime contributors J. Jason Daunter, Jason Yarcho, Matt Conover, Jeff Hall, and Diane Carr on the production team. Eleven high school productions, reviewed by teams of adjudicators across the country, have also been tapped to perform on Festival’s main stage. Twenty-nine more have been identified to participate in the Chapter Select Showcase, a roundup of great school theatre produced at chapter Thespian festivals in the past year. 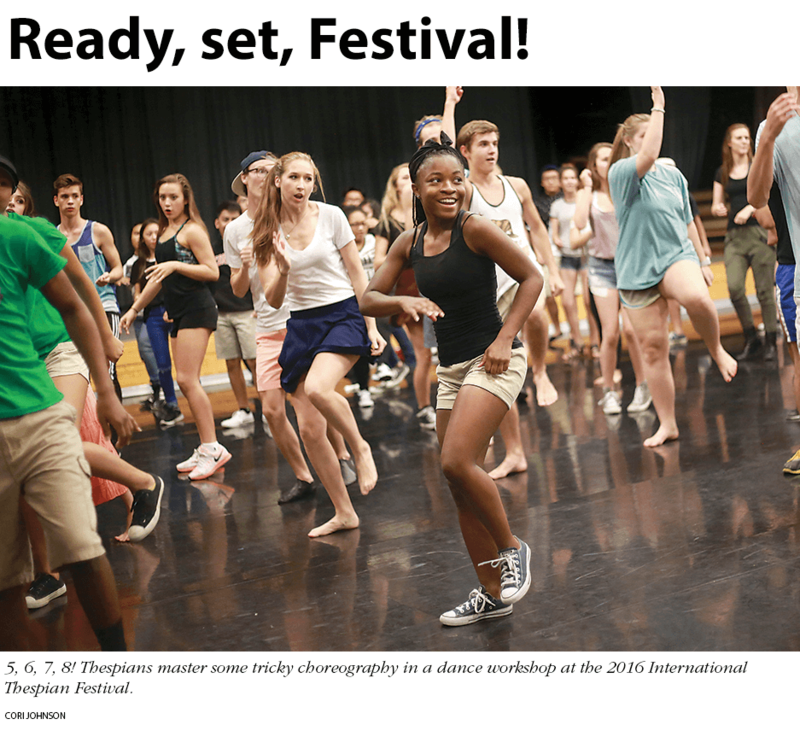 This year’s event will include more than 200 workshops on acting, dialects, stagecraft, costuming, improv, makeup, directing, musical theatre, playwriting, and other theatre-related topics for students and educators. Actors can also audition to take part in workshops of new dramatic works in the Thespian Playworks and Thespian Musicalworks programs, while techies can put their backstage skills to the test in the 2017 Tech Challenge. For the second year in a row, Thespian dancers can attend a dance audition for colleges and universities. And juniors and seniors can get focused on their college search by auditioning for universities and scholarships. Visit Schooltheatre.org for more information on this year’s Thespian Festival.